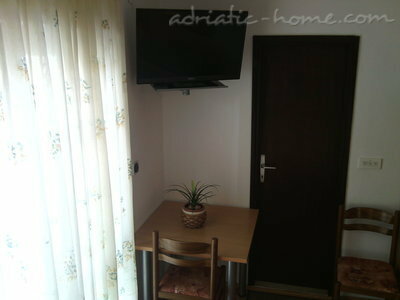 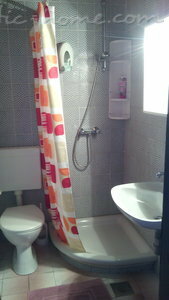 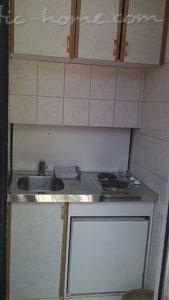 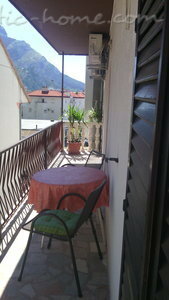 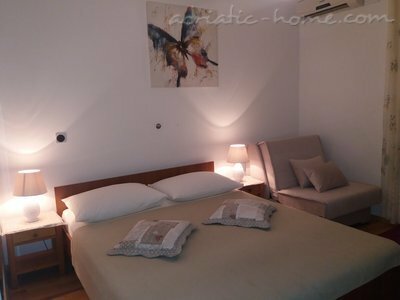 The apartment is air conditioned, terrace of 5 m2 and a restaurant on the ground floor. 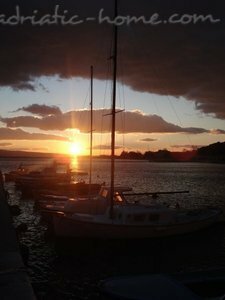 (Condition of reservation: 20% advance payment to be sent - SOGE Bank of Split / IBAN: HR 10 2330 0033 1407 1053 1 / SWIFT SOGE HR 22 / ACCOUNT 4017 481 2010 / ). 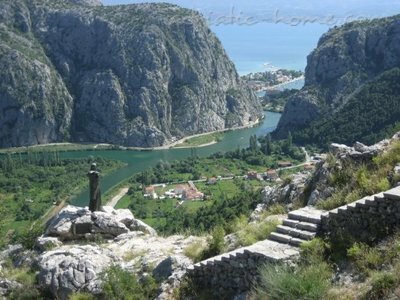 Omis owes everything to his river, what is and what will be: an imposing stone gate, which river Cetina flows into the sea-the undisputed symbol of this geologically ancient city. 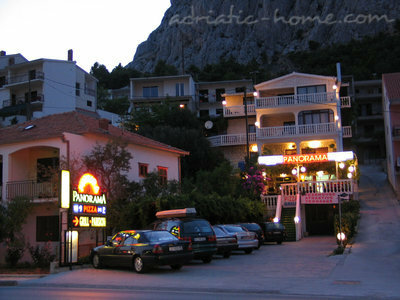 For this reason we can not count it among the typical Dalmatian cities. 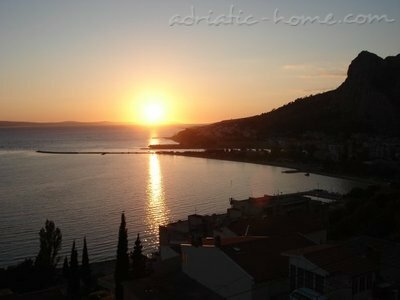 View of the valley of Cetina provides quite continental atmosphere and erases any thought that the seashore is only a thousand meters. 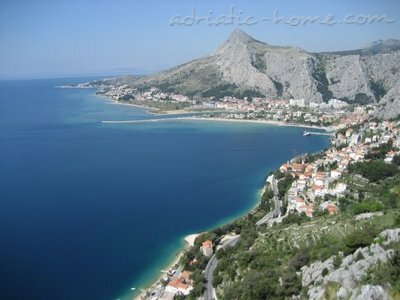 Omis sandy beaches on the peninsula of Punta is suitable for children. 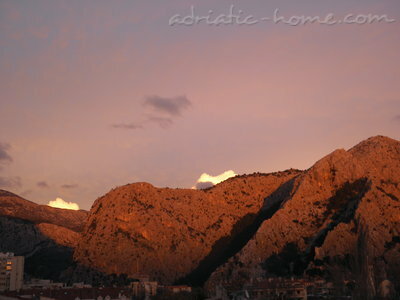 Because towering mountains that obscure Omis, the sun in the summer appears relatively late, and very early is the sunset, which at that time of year provides the necessary shade. 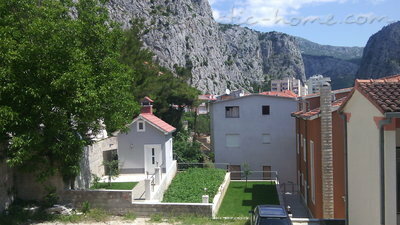 For this small town, crammed under the steep mountains, the characteristic is long summer evenings. 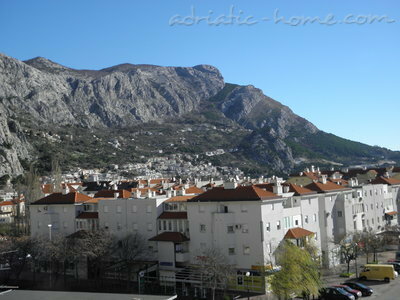 For a beautiful summer day observers of everyday birth of light can also enjoy the morning breeze which brings the smell of the canyon of Mosor flowers and aromatic herbs.